Not every family builds a house from scratch; more often they buy a ready-made one. It is also possible that the project of the house is ordered by the architects, and they build typical buildings that are not always convenient in everyday life. Therefore, there are situations when the existing living space is small and requires an extension to the house of a bar or other material. 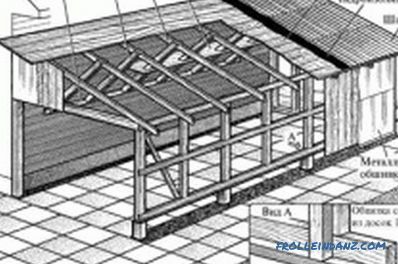 The scheme of extension of the veranda to the house from a bar. 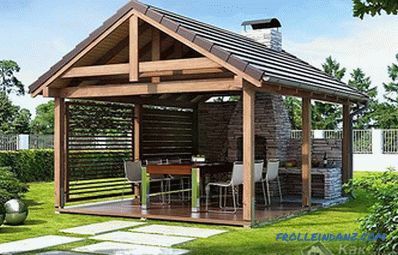 Of whatever your house is built, for the manufacture of an annex the wooden block will serve as the best material. It is carried out in several stages: planning, the manufacture of the foundation, the construction of walls and the installation of the roof. Consider each item. Tools for building an extension. The first stage is planning. To compile a project, you will need to determine the purpose of the annex. In other words, what will be located there: a bathroom, living rooms, a workshop, a storeroom, etc. Depending on the destination, the number and size of window openings are chosen. In advance it is necessary to consider the location of the extension so that it does not block free access to communication systems (water supply, sewage, etc.). Next, you carry out the foundation - you cannot do without it when building an extension to a log house or any other. The foundation for the annex is the same as the one on which the main house stands. That is, the depth of the deposit, the material (foam block, concrete, reinforced concrete) and the design (prefabricated or solid) coincide. The main thing in this case is to carefully perform a bunch of two foundations. This option is possible if the house was erected by the same person who makes the extension. If you got the house ready and you know practically nothing about the foundation, you will have to find out all of the above, having dug up the foundation from the side of the future extension. If the purpose of the annex allows, then you can make a foundation of piles (pillars). Upon completion of the work, the foundation must stand for 30 days, so that it dries out, grabs and withstands the load of the beam laid on top. If an extension from a bar is erected to a log house, then there will be no difficulty in joining the wall of the main house and extension. 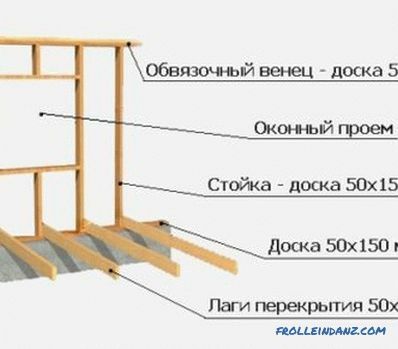 They can be fastened with staples and allowed to stand, since the timber for residential annex is not light material, it gives significant shrinkage. The shrinkage period is from 12 months. Scheme of an extension garage from a bar. After shrinking, it may be necessary to replace the twisted brackets between the old and new walls, replacing them with new ones. It is possible to fasten rows of bars between each other with staples, self-tapping screws, metal plates and other fixing materials. Gaps are laid with any insulation. A roof is created. 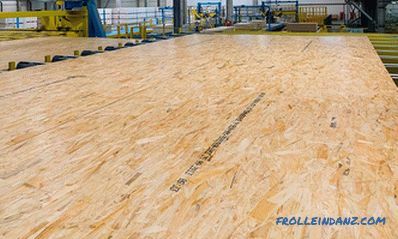 The process of its construction is no different from the standard. 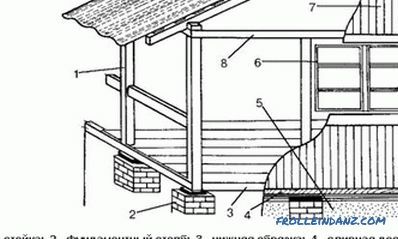 Erect rafters, crate and trim the gables, sew up the eaves, put and fix the roofing material. After the main steps have been completed, all that remains is to install the windows. In addition, the ceiling, floor and finishing works are carried out. 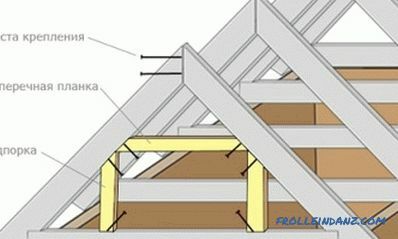 If the house and the extension are made of bar, then the insulation is laid from the inside, so as not to spoil the appearance of the building. 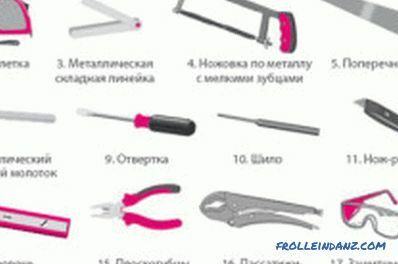 It is better to choose a bar with antiseptic and fire-resistant impregnation, or to make the treatment yourself. 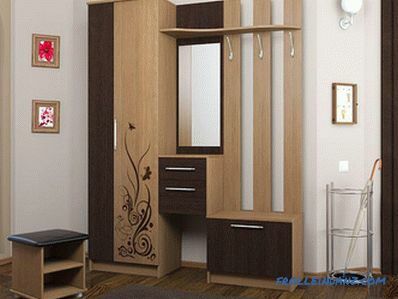 So you protect the walls from the negative effects of moisture, fungi, insects. Fasteners, choose those that have a corrosion-resistant coating. If you put an extension in the cold season, this will reduce the time for shrinkage. The beam will stand in the cold, gradually warm up, that is, it will withstand the change of temperature. For work, choose a quality, well-dried bar. From the timber, extensions are made to both brick and stone houses. 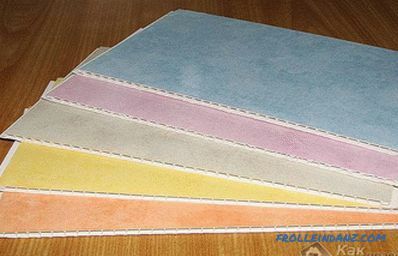 This material is loved by builders, since it is easy to work with it in terms of laying and it is not required to close it with decorative panels.